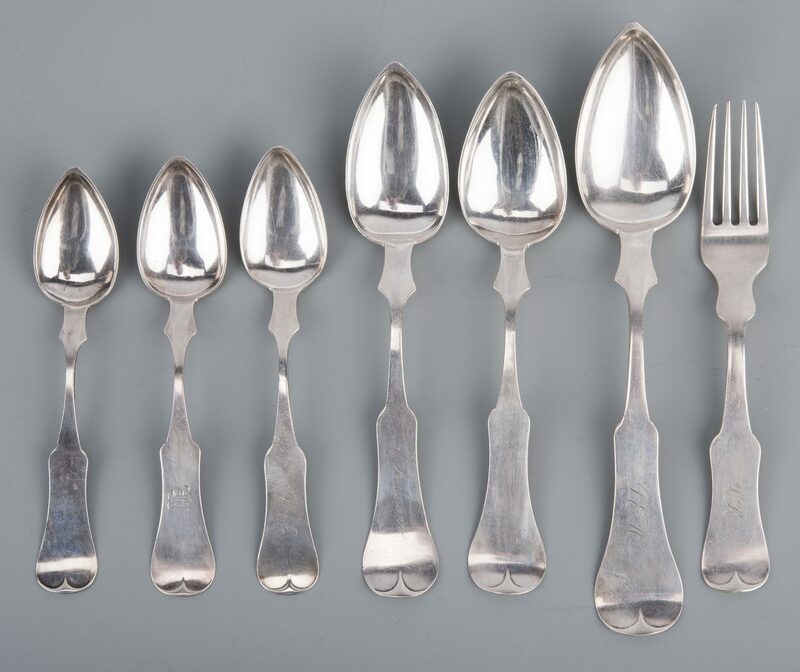 Large group of coin silver flatware in the fiddle swell pattern with marks for various Cincinnati makers (most maker's names marked in rectangles). 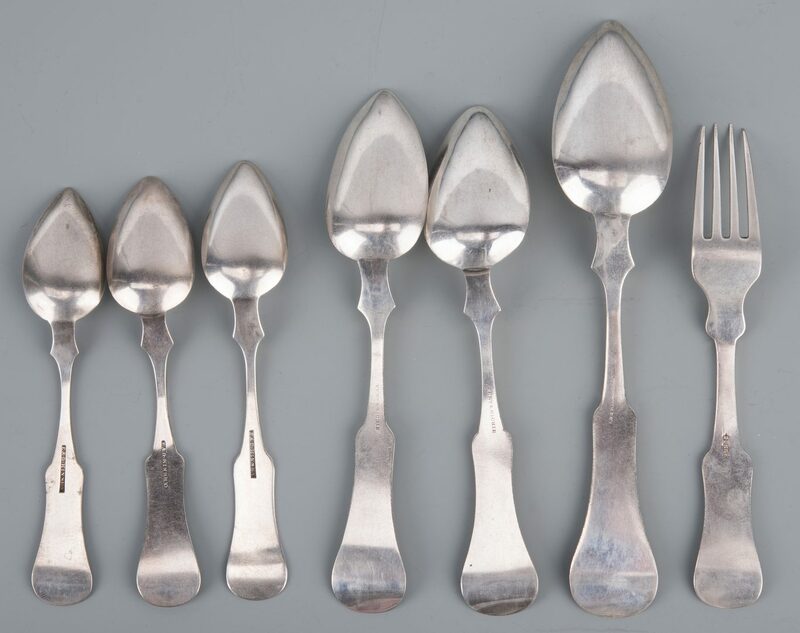 Includes Sixteen (16) E. & D. Kinsey Coin silver teaspoons (12 monogrammed "M', 2 monogrammed "GWD" and 1 monogrammed DAE, the other not monogrammed); Eleven (11) dessert spoons in the Fiddle Swell Pattern with incuse marks for Kent & Ritchie (10 monogrammed A. Johnson and 1 not monogrammed); Five (5) David Kinsey tablespoons monogrammed SEM; and twelve (12) Duhme forks, 6 5/8"L, monogrammed CR. All mid 19th century. 43.85 oz troy combined weight. 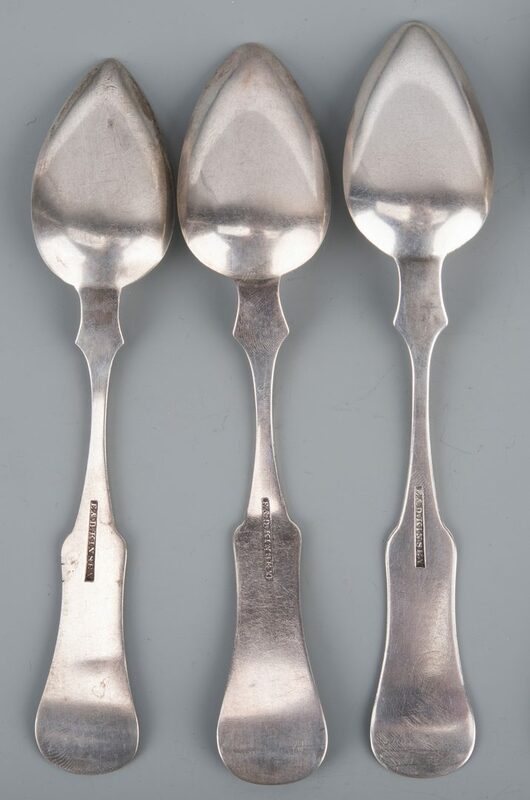 CONDITION: 1 teaspoon has two deep scratches to handle. 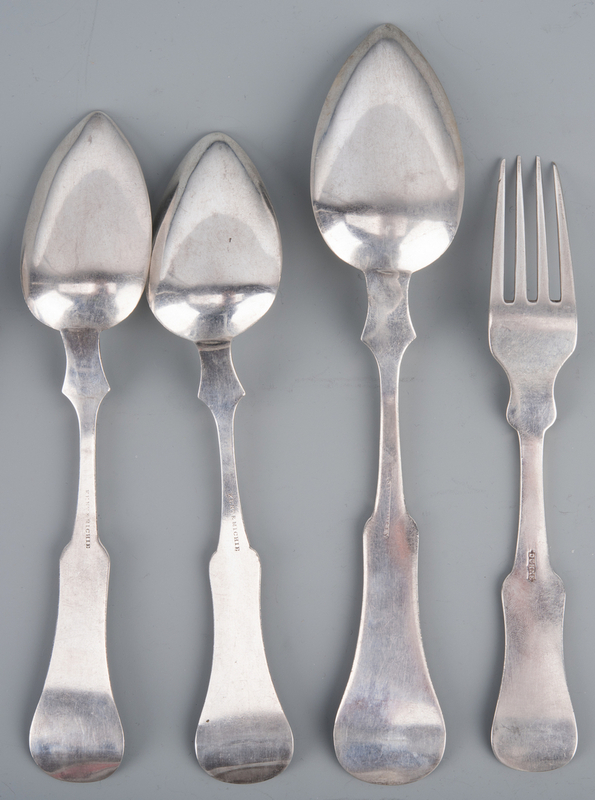 Other items in good condition with some wear to handles/monograms and a few scattered light dents to bowls.